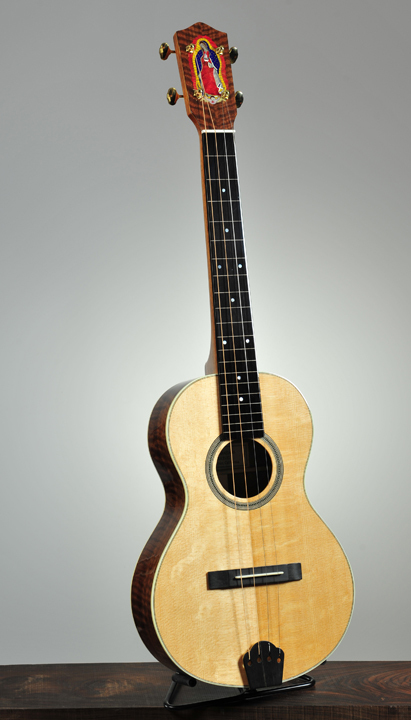 Tony Graziano Ukuleles- the "Virgin Bari"
A Baritone Slide Ukulele, in claro walnut and bear claw sitka spruce. 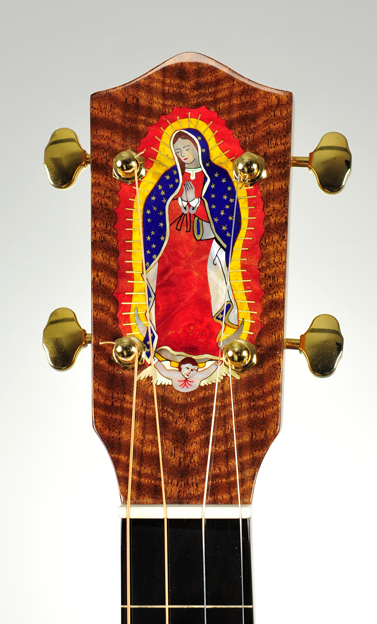 It features a square fretless neck, steel strings and tailpiece, and a headstock inlay of the Virgin of Guadalupe done by Dave Sigman. Dave is well know for the wonderful inlay work he does.